Saturday, June 25, 10 a.m. to 4 p.m. 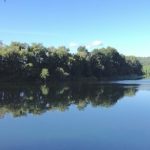 Spend the day on a peaceful bend in the Connecticut River, exploring how the “felt sense” of situations can help you reduce stress, think creatively, and connect to your inner compass. Facilitator Beatrice Blake, originally trained as a Doctor of Oriental Medicine, has been a Certified Focusing Trainer since 2000. She has studied Focusing and Thinking at the Edge with its developer, philosopher/psychologist Dr. Eugene Gendlin, and teaches in New England and internationally. The workshop venue is a private home in Westmoreland, NH, 30 minutes northeast of Brattleboro. Directions given at time of registration. Sign up by sending a comment below.